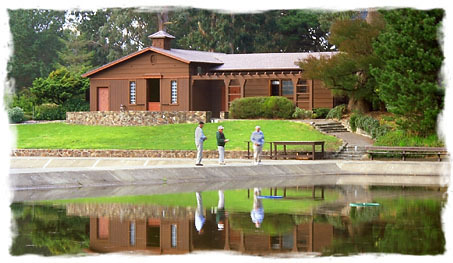 The GGACC's facilities include the Angler's Lodge & Casting Pools located within Golden Gate Park in San Francisco. The entrance to these facilities is on John F. Kennedy Drive in the western end of the park (see map to the right). Look for the "Angler's Lodge" sign located across from the Buffalo Paddock. When using online mapping systems such as Google Maps use this address for the search to get you closest to the club: 1232 John F Kennedy Dr, San Francisco, CA. Please do not mail ANYTHING to this address as it is not our actual address.